Discussions Magazine Music Blog: MADNESS/Oui Oui Si Si Ja Ja Da Da: The NEW album available NOW! 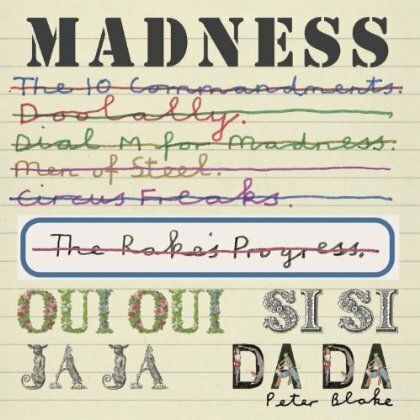 MADNESS/Oui Oui Si Si Ja Ja Da Da: The NEW album available NOW! 2012 album from the veteran British Pop band, their 10th studio album overall. On Oui, Oui, Si, Si, Ja, Ja, Da, Da sees the band team up with a number of new producers, the first time in their illustrious career they have decided to do so, to create an album of incredible pop songs. Oui, Oui, Si, Si, Ja, Ja, Da, Da offers up artwork from legendary British artist Sir Peter Blake (Sgt. Pepper’s Lonely Hearts Club Band), who has designed the artwork for this album. Features 'Death Of A Rude Boy' and 'My Girl 2'.